Revitalise and replenish damaged or dry hair with Shea Moisture's Raw Shea Butter Deep Treatment Masque; an intense formula developed to repair strands from root to tip. Enriched with a regenerating blend of Shea Butter, Argan Oil and mineral-rich Sea Kelp, the masque works to improve elasticity and restore radiance, whilst smoothening the hair's cuticles and conditioning the scalp. 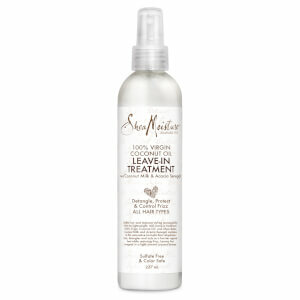 Expect soft, sleek locks that are bursting with moisture and shine. Free from sulphates, parabens, phthalates, paraffin, mineral oil and synthetic colour. Section clean, wet hair and apply generously using a wide tooth comb to distribute evenly from root to ends. Leave in for 5 minutes and then rinse thoroughly. For a more intense treatment, cover hair with a plastic cap and apply moderate heat for up to 30 minutes. Rinse thoroughly. When using a hair steamer do not cover hair, moist heat will add to masque's hydration. Deionized water, Butyrospermum Parkii (Shea Butter)*, Argan Oil, Vegetable Glycerin, Emulsifying Wax, Sea Kelp Extract, Panthenol (Vitamin B-5),Essential Oil Blend, Avacado Oil, Lonicera Caprifolium (Honeysuckle) Flower (and) Lonicera Japonica (Japanese honeysuckle) Flower Extract, Tocopherol (Vitamin E), Hyssopus Officinalis Extract, Salvia Officinalis (sage) Leaf and Equisetum Arvense Extract, Soybean Oil, Daucus Carota Sativa (Carrot) Seed Oil. *Certified Organic Ingredient. This mask really works well on my hair. 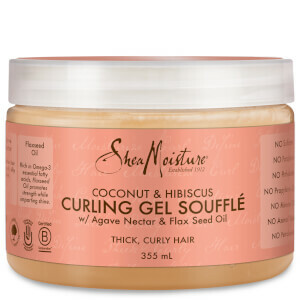 I use it for deep conditioning, curly girl method. 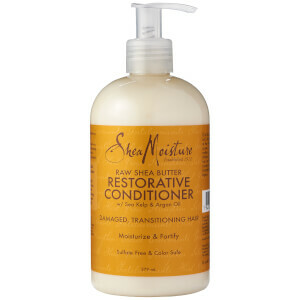 Great combine with other shea moisture products.